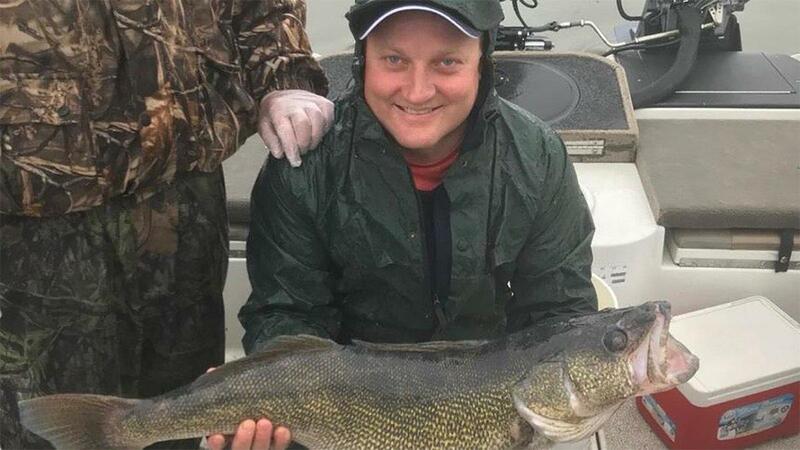 A giant walleye has been caught in North Dakota and it's officially the new state record. Angler Neal Leier was fishing with his brother, Leon, on the Missouri River and landed the behemoth just 100 yards from the boat ramp. The 15-pound, 13-ounce fish measured 32 1/2 inches and eclipses the previous record of 15 pounds, 12 ounces caught by Blair Chapman in 1959. Leier noticed a few fish on his depth finder on Friday morning, just after launching the boat, so he grabbed a jig, tipped it with a soft-plastic bait and dropped it into the fish. According to a story by Brad Dokken of The Grand Forks Gerald, Leier said the walleye felt like a log as he was fighting it. The brothers took the fish to a nearby convenience store and had it weighed on certified scales before taking it to the local Game and Fish offices. The officials certified the record and Leier took the fish home, put it in the freezer to mount it and returned to the river to continue fishing. This catch also ends the controversy surrounding the 1959 record. There were no mounts, photographs or background story regarding the record, so it was always met with a bit of skepticism from current-day anglers.